Aqua Hot heating systems are a top name in heating and recreational vehicles. This company has been on the forefront of RV heating since the early 80’s when they engineered the first ever product that uses Hydronic heating for RV’s. Since that time, RV owners have loved their products and heaters which upon hitting the market, really changed the way that owners were able to shower. Prior to the invention of Aqua Hot heating products, most showers in RV’s were limited to just a few moments of time, often a select few minutes. After the creation of Aqua Hot and their amazing heating system products for RV’s, owners have been able to enjoy much longer showers, closer to the amount of time that they might be accustomed to in their own home. For RV owners that would rather have in-demand hot water, and enjoy longer showers, with energy efficient heating in the RV should think about Aqua Hot heating systems. Aqua-Hot, RV Hot Water Heaters, are a proven brand name that offers exceptional products that you will be satisfied with. Fix-My-RV AZ is an Aqua hot Hydronic heating specialist that can advise you on which Aqua-Hot system you’d need for your specific RV. We are certified in maintenance and service needs for Aqua Hot heating products as well and are prepared to inspect and service your Aqua hot unit.. Get ready for the winter season and cold months this year and call Fix-My-RV AZ to carry out a thorough point service to keep your Aqua Hot system in top condition. Send us a request for maintenance or a thorough inspection of all of your Hydro Hot parts. Fix-My-RV AZ is an Aqua-Hot Heating System Factory Authorized Service Center that you can count on. 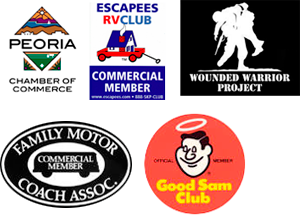 We also offer mobile RV repair Phoenix AZ services.